tomatoes | Cooking With Mr. C.
1. Boil shrimp for 5 minutes. Drain well and set to the side. 2.. In a 5 quart pot, add 3 tbs. of olive oil. Over a medium heat, warm oil and add carrots, celery and onion. Cook until tender and stir occasionally. Add garlic and stir until garlic browns. Add salt and pepper. 2. Stir in stewed tomatoes (with the liquid), lentils, chicken broth, potatoes, and water. Stir with spoon. Heat to a boil. Reduce heat and cover. Simmer for 50 minutes. 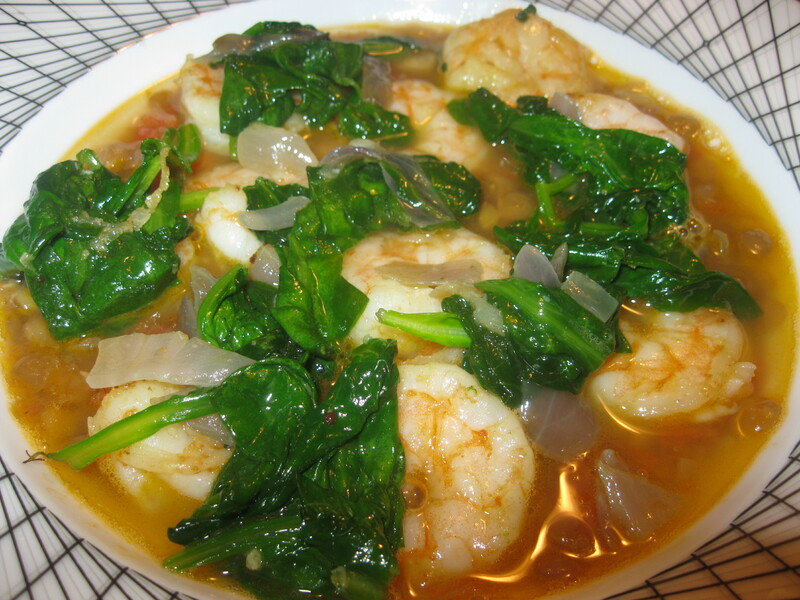 While soup is simmering (about 25 minutes in) add boiled shrimp. Stir in spinach 3 minutes before done. Add a pinch of extra sea salt if needed. 1. Put 2 tbs. of olive oil in a skillet. When oil heats, put in garlic. When garlic browns, add 1 tbs. of balsamic vinegar. Stir with a spoon. Add chicken cutlets to the pan. Cook on each side for 5-7 minutes. (depending on thickness of cutlets) You can cut the chicken to see that it is white in the middle. Remove chicken and keep covered. 2. In a bowl, add tomatoes and onions. Sprinkle with a pinch of salt and pepper. Add 1 tsp. of olive oil and 1 tsp. of balsamic vinegar. Mix well. 3. Preheat oven to 400 degrees. Get a baking pan. Coat the bottom of the pan with 1 tbs. of olive oil. Place chicken cutlets in pan. Put a slice of mozzarella on each cutlet. 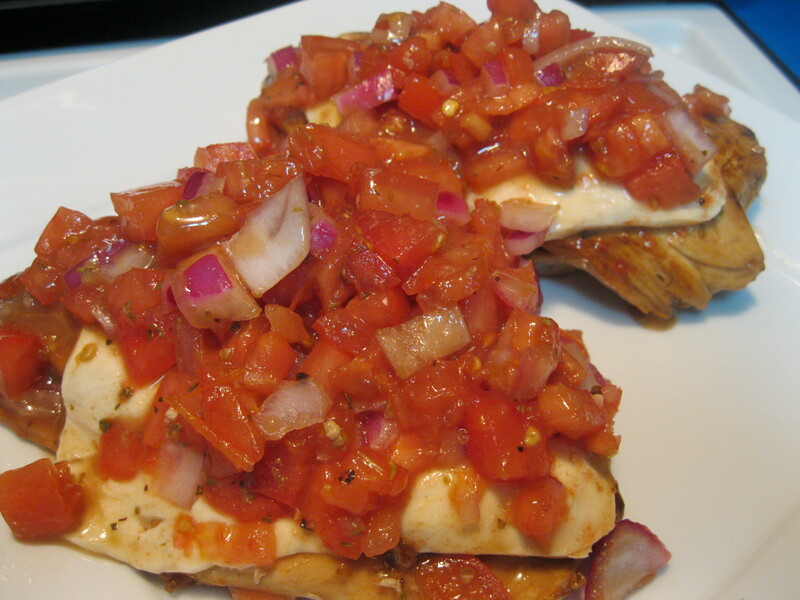 Spoon tomato mixture evenly on top of all cutlets. Bake in oven for 5-7 minutes until mozzarella melts. In a large bowl, put all ingredients. Serves best with a Greek or Italian dressing. 1. Open can of tomatoes. Slice tomatoes. 2. In a large skillet put 2 tbsp. of olive oil. Cook garlic and shallots for about 5 minutes. 3. Add tomatoes. Sprinkle with sea salt and black pepper. Cook for 10 minutes. 4. Make sure uncooked shrimp are dry and not wet. In a bowl put shrimp. Add a tsp. of olive oil and a pinch of sea salt. Mix well. 5. In a round baking casserole dish, coat the bottom with 1/2 tsp. of olive oil. Add cooked tomatoes evenly on the bottom. 7. 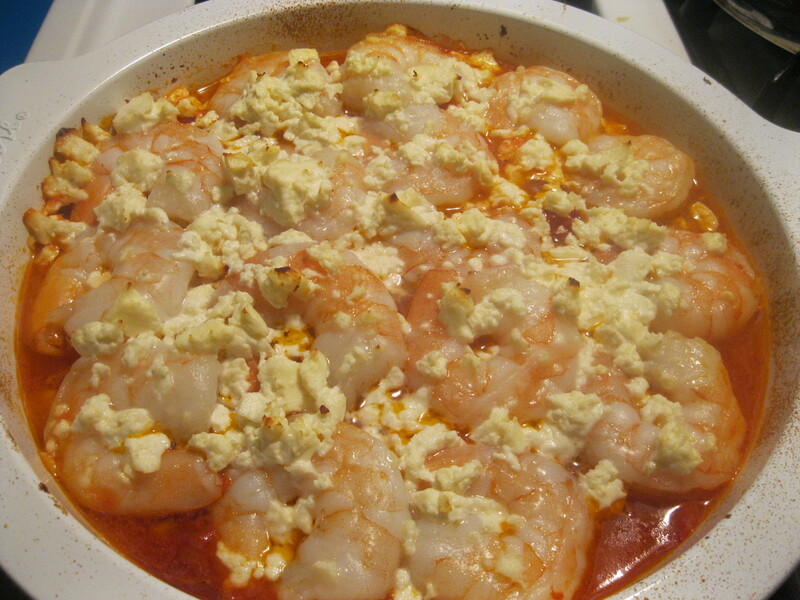 In a preheated oven of 400 degrees, bake shrimp for about 10-12 minutes. Serve hot. Serves 2-3 people. Dip feta cheese cubes into egg and then bread crumbs. In a skillet, put 2 tbsp. olive oil. When heated, add feta cheese. Cook on both sides for 2 minutes each and remove from skillet. Mix salad dressing ingredients. Pour dressing over salad. Top salad with fried feta. 1. In a baking pan, coat the bottom of the pan with 2 tbsp. of olive oil. 2. Sprinkle sea salt and black pepper on pieces of salmon. 3. Bake in oven for about 18-20 minutes. 4. Meanwhile in a skillet, put 1 tbsp. of olive oil. 5. Cook shrimp for about 4-5 minutes. 6. 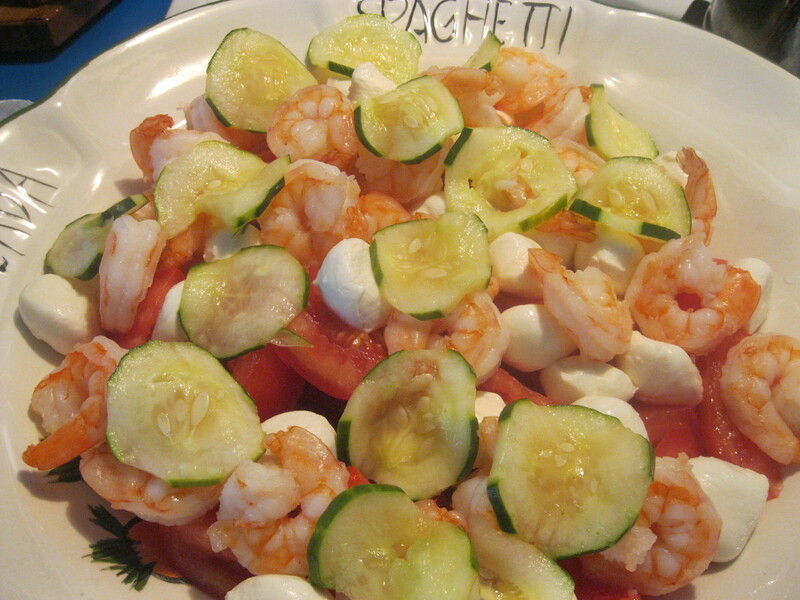 In a bowl, put shrimp, tomatoes, red onion and basil. Sprinkle with a little sea salt. 7. Add 2 tbsp. of olive oil and 2 tbsp. of white balsamic vinegar. Mix well. 8. 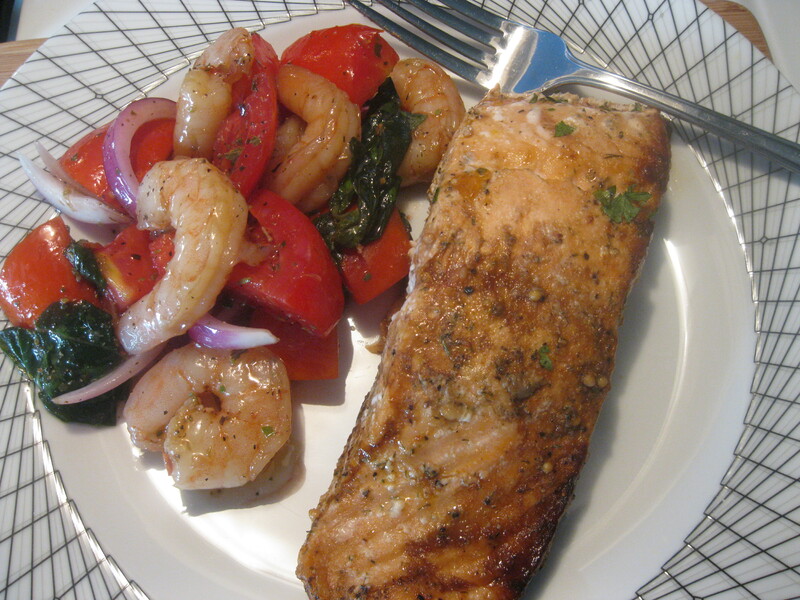 Serve salmon with side of shrimp and tomatoes.